The spinner considers cycling to be a great fitness tool. 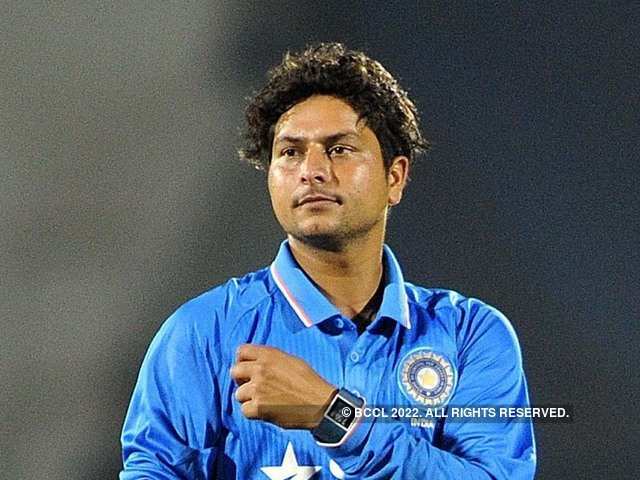 When he is not getting out seasoned batsmen, 24-year-old cricketer Kuldeep Yadav likes to unwind by cycling. 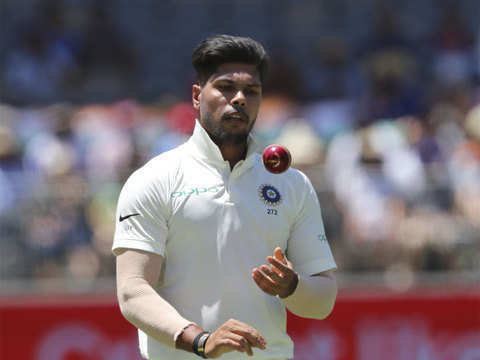 Yadav, who is a rare breed of Chinaman bowlers in the country, says cycling has been his passion ever since his parents introduced him to it. “I have loved the bicycle since I was a child. Growing up, my friends and I used to cycle a lot,” he says. The spinner considers cycling to be a great fitness tool and if he could, he would opt for cycling over anything else. “I can do 10 km every day. 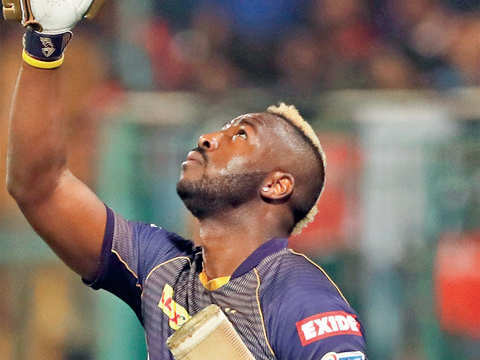 As cricketers, we have to mix cardio and weights, so there is a cap on how much I can cycle, now for my fitness,” he says. Our hectic lifestyles sometimes leave little time for a proper diet and exercise regime. Thankfully, tech can help you plan your diet, nutrition, exercise and track results for a healthier you. Karan Bajaj talks about some of his favorites. 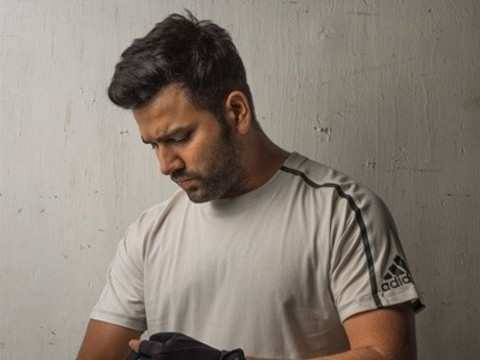 By Karan BajajOur hectic lifestyles sometimes leave little time for a proper diet and exercise regime. Thankfully, tech can help you plan your diet, nutrition, exercise and track results for a health.. This free app offers various tools including a BMR (Basal Metabolic Rate) calculator, body fat percentage calculator, diet tool and even tells you your recommended heart rate for exercise basis your age. The app has its own social network where you can follow other users, join groups and interact with them. 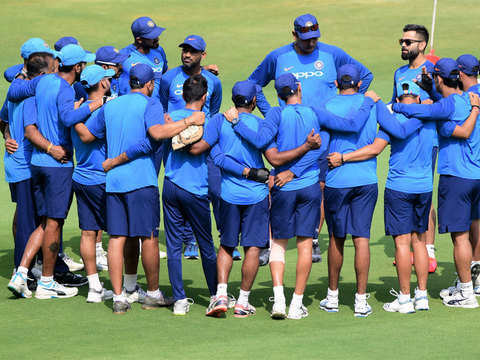 Plus, you can also choose a coach as per your fitness requirement (you will have to take one of the paid packages for the coaching service). 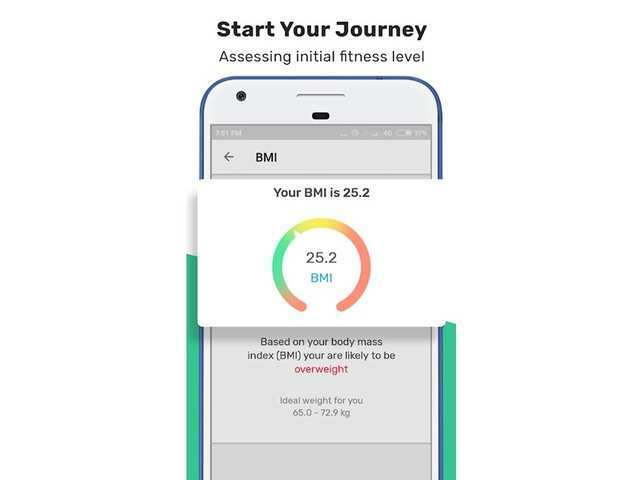 This free app offers various tools including a BMR (Basal Metabolic Rate) calculator, body fat percentage calculator, diet tool and even tells you your recommended heart rate for exercise basis your ..
HealthifyMe lets you track your weight, activity as well as your food and water intake. You can set reminders, create a diary, maintain health logs and get a weekly report based on your inputs. In the basic plan (Rs 199/month), the app offers an AI coach called Ria that helps you stay motivated and interacts with you for any queries. If you prefer human coaches, you can opt for paid personalized coaching where you can choose from nutritionists, fitness instructors or yoga coaches. HealthifyMe lets you track your weight, activity as well as your food and water intake. You can set reminders, create a diary, maintain health logs and get a weekly report based on your inputs. In th..
Fitso gives you recommendations on the basis of your BMI (which it calculates according to the height and weight your input). If you want to lose weight, it will give you the option to track your daily calories intake with a diet journal as well as ask you to burn calories with physical activity. You need to set a target weight and choose whether you want to do only a diet or diet & exercise. We like the clean app interface. You can also opt for a coach service which starts at just Rs 149/week. 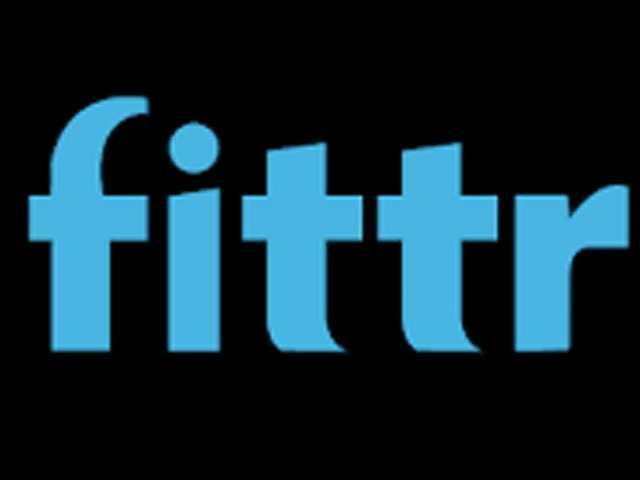 Fitso gives you recommendations on the basis of your BMI (which it calculates according to the height and weight your input). If you want to lose weight, it will give you the option to track your dai.. If you’re more of a gym person and do not want to miss workouts while traveling, Fitpass gives you access to 1500+ gyms. The app currently works in selected cities and you pay Rs 999/month for the service. 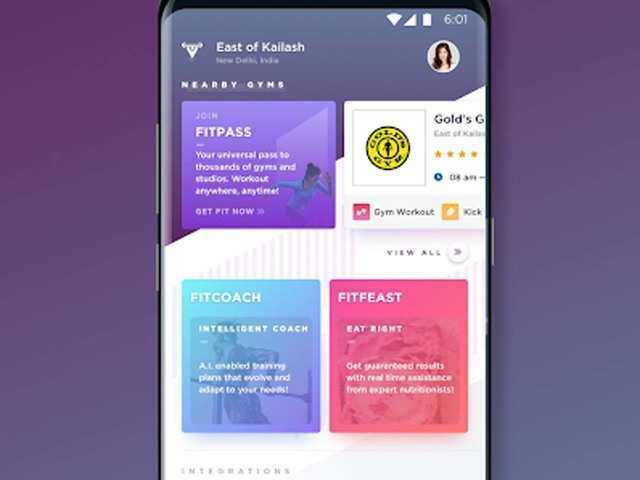 You can view the fitness centers around you based on your locations along with details on their address, timing and the types of workout they provide. They also have plans for dieting and coaching plus an in-app store for purchasing supplements. If you’re more of a gym person and do not want to miss workouts while traveling, Fitpass gives you access to 1500+ gyms. 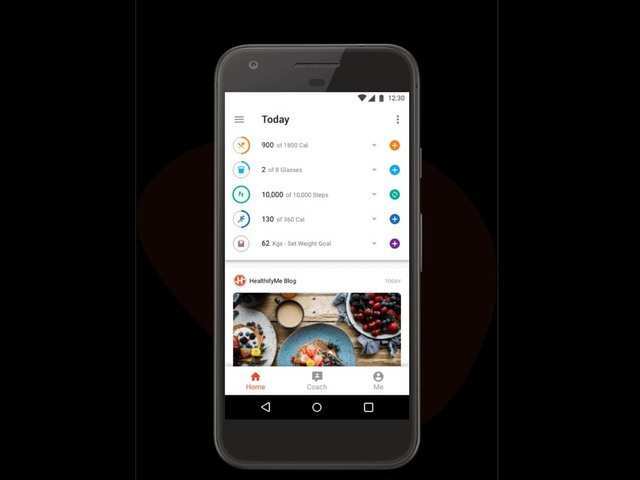 The app currently works in selected cities and you pay Rs 999/month for the se..
As the name suggests, this free app helps you calculate your calorie intake basis what you eat and drink. We liked that it has an option of adding how much weight you want to gain/lose per week (and it accordingly informs how many calories you should consume each day). As long as you input your food and drink correctly, the app shows you a nutrient breakdown, making it easy to see how much protein, fat and sugar you have consumed. You can view your progress in a graphic form, sync data with third party devices and apps as well as have the app remind you to eat food on time. As the name suggests, this free app helps you calculate your calorie intake basis what you eat and drink. We liked that it has an option of adding how much weight you want to gain/lose per week (and ..
A smart weighing scale helps you keep a track of various parameters. Apart from your weight, a smart scale can typically measure BMI, muscle mass, bone mass, body fat, basal metabolism and visceral fat. 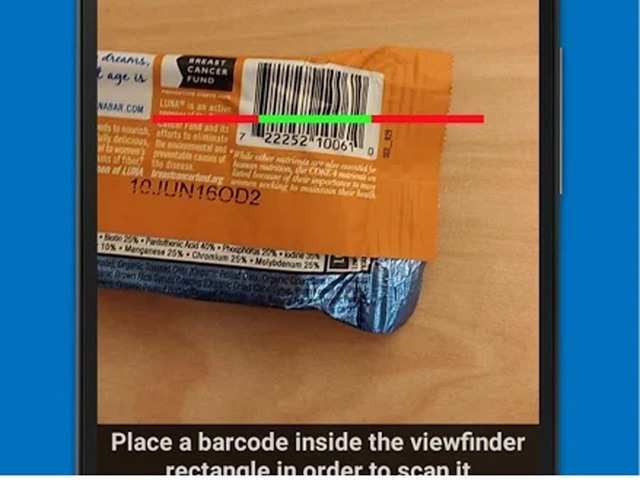 All the data is synced with a companion app for easy tracking. Some apps even let you create individual profiles — so that all the people using it can track weight loss progress individually. Some of the better options we reviewed include the Mi Body Composition Scale (Rs 1,999) and the Lenovo HS10 Smart Scale (Rs 2,799). A smart weighing scale helps you keep a track of various parameters. 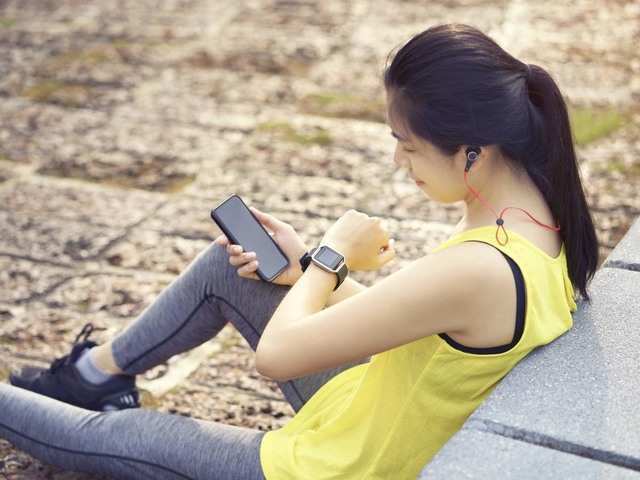 Apart from your weight, a smart scale can typically measure BMI, muscle mass, bone mass, body fat, basal metabolism and visceral f..
A dedicated fitness band is great for tracking your daily activity (as opposed to having an app on your phone). You can buy one starting as low as Rs 1,200 going up to Rs 20,000 or more. We recommend getting a fitness band that offers a heart rate tracker, good battery life and water resistance. We always recommend Fitbit if you can spend more. They have some of the best fitness bands like the Alta HR and upcoming Charge 3. However, their products are usually priced Rs 10k onwards. If you want to spend less, check out the following options. 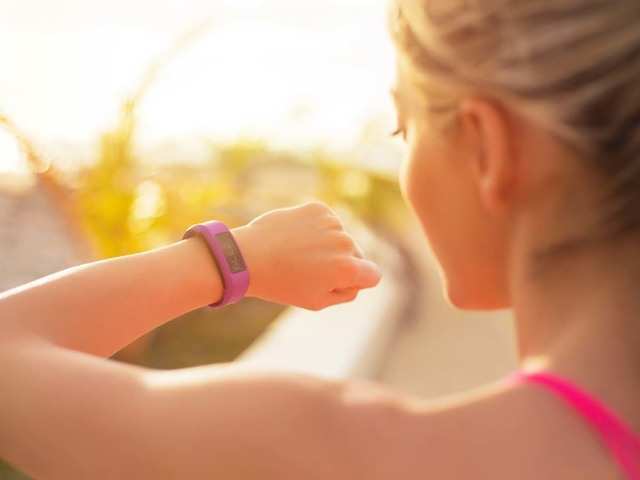 A dedicated fitness band is great for tracking your daily activity (as opposed to having an app on your phone). You can buy one starting as low as Rs 1,200 going up to Rs 20,000 or more. We recommend.. Priced at Rs 1,999, this is easily the best option for anyone on a budget. Spending less doesn’t mean you want to compromise on features right? 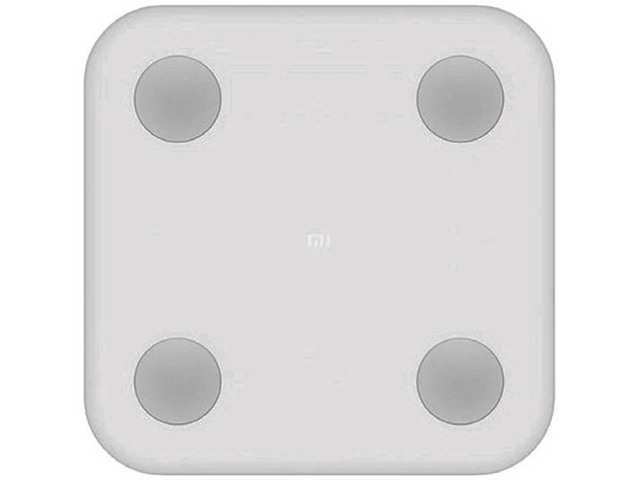 Mi Band 3 has everything: a large OLED display, continuous heart rate tracking, sleep tracking, water resistance and show you notifications from your phone. Battery life is up to 20 days on a single charge! Priced at Rs 1,999, this is easily the best option for anyone on a budget. Spending less doesn’t mean you want to compromise on features right? 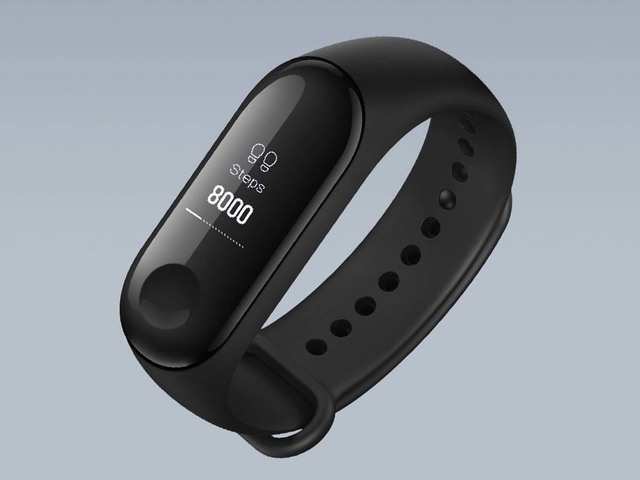 Mi Band 3 has everything: a large OLED display, continu..
For Rs 3,499, what makes this one stand out is the personalized coaching service. 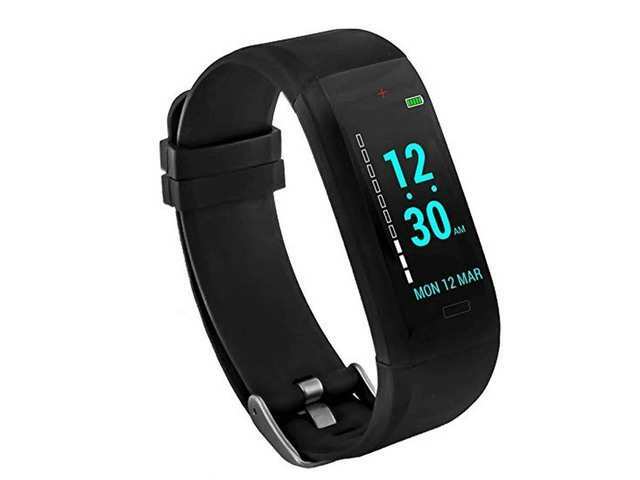 The latest fitness tracker from Goqii has an OLED colour display and it tracks steps covered, distance, sleep, heart rate and even blood pressure. A dedicated exercise mode helps you track your fitness activity and it offers a battery life of up to 7 days. For Rs 3,499, what makes this one stand out is the personalized coaching service. The latest fitness tracker from Goqii has an OLED colour display and it tracks steps covered, distance, sleep, heart .. 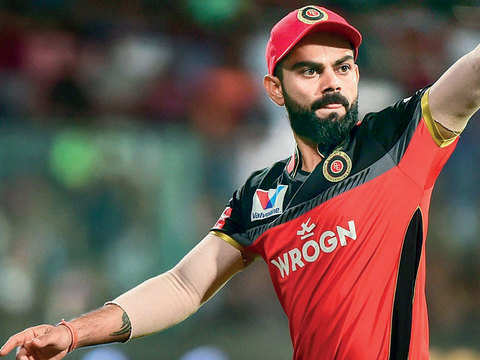 In their first match against Chennai Super Kings, RCB were bowled out for a paltry 70 in 17.1 overs. 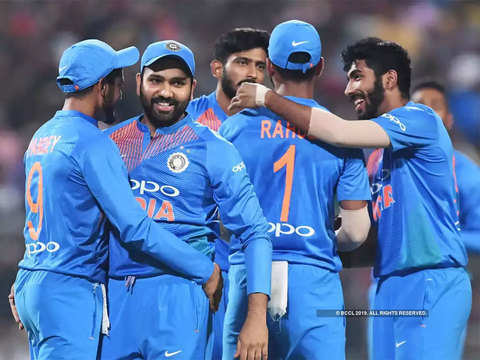 India lead the five-match series 2-1. 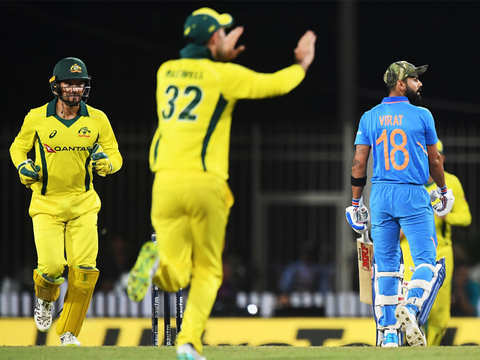 Chasing a target of 251 runs, the visitors were dismissed for 242 runs in 49.3 overs.